The Times-Age is entering the spirit of Māori Language Week 2018 [Te Wiki o te Reo Māori] and this year’s theme for the week, Kia Kaha te Reo Māori – let’s make the Māori language strong. Until Monday, we’ll offer up stories and information, about te Reo, guided by the key words ako, whakarongo, waiata, pānui, tuhi and kōrero – meaning to learn, listen, sing, read, write and to speak. Teachers at Te Kura Kaupapa Māori o Wairarapa are keeping their culture alive by committing to only speaking te Reo with their students. The growing Masterton school of 76 students started as a classroom in a whānau member’s shed over 25 years ago, and moved several times before settling at its current site on Johnstone St. 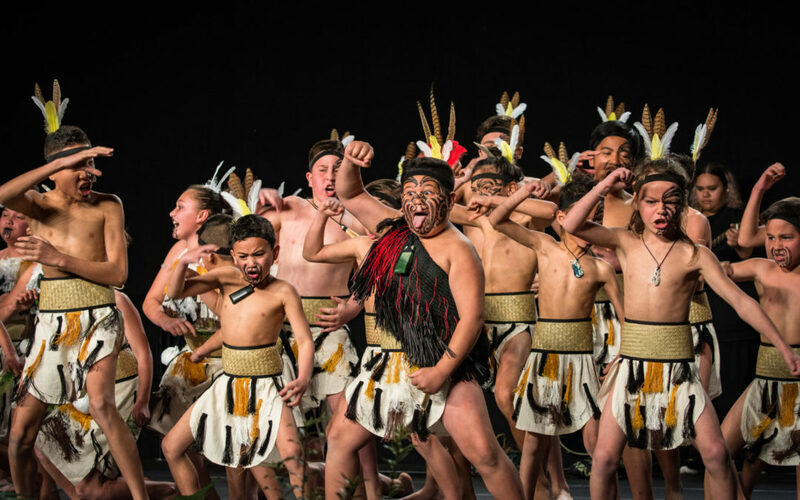 The school is now a well-established Māori immersion school renowned for its outstanding kapa haka performances which saw them win Te Awakairangi ki Wairarapa Kapa Haka primary-intermediate competition last month and earn a spot at the national kapa haka Te Mana Kuratahi competition. Principal Hohepa Campbell said all the students can already speak English so it’s vital they only speak te Reo at the school. “Our language, the essence of our culture is at risk of extinction,” he said. The students learn all their subjects in te Reo – whether its reading and writing, researching New Zealand historical events for NCEA level 2, or taking part in a social studies project about the best place to plant kūmara. The students also have access to iPads with literacy and numeracy programmes in te Reo. All the teachers at the school are fluent, including the two trainee teachers, who are both former students. In fact, the school’s finance administrator ‘Whaea Barbara’ has jumped on board too, attending weekly te Reo language classes run by Nanny Paremo. They aim to teach parents and community members te Reo in a non-threatening and non-embarrassing environment. “I work at the kura, I think it’s important I learn to speak the language,” she said. And the school embraces more than just the language aspect of Māori culture, with all the students eating together in the hall for breakfast and lunch. “We give them soup every day, making sure everyone has a full puku – kua kī ngā puku,” Campbell said. He aha te tae o tēnei? He kikorangi te tae o tēnā. It is blue/that colour is blue. He aha te tae o tēnā?